The body is the home of the soul, just like the head is the home of the consciousness (orí). We can see in the movement of someone’s body if the person is happy, sad or gentle. The body is the mask of the soul and the body is the form of our soul we give to the world. But humankind is, as Òyèkú méjì says, “changeable, as a boat on water”, in other words subject to turning tides and changes of weather. Òyèkú méjì is an Odù that speaks of death and of ending cycles as much as it speaks of Onile, the earth, or rather the embodiment of the wisdom of earth. We are all children of earth and as earth enjoys adorning herself in the beauty of multiplicity and diversity, so should we. We all have experienced, I hope, these moments when nature takes our breath away and we grow humble in its presence. It is the soul of earth radiating through her body that is taking our breath away in these moments. But we, as her children do hold the same capacity. We all are impressive beings, if we are given the condition necessary for our beautiful blossoming. Naturally, we blossom in love, in conquest and in reaching our goals. We blossom in praise and satisfaction. We are like the earth itself, desirous of beauty and magnificence. We all know that our joy and happiness also brings the attention of the envy ones to our life. Not only this, but there is so much in the world of a negative radiance that at times is enough to pick up a newspaper to see ones satisfaction impaired by negativity, and in this simple act we invite these destructive powers into our life. Certainly it is the soul that experiences the grievance and sorrow, but it is still the body that is the sentimental, sensual and tactile fortress that invites enemies to the throne of the soul. In the same way that we should be interested in keeping the appearance of our house and the clothes that dresses our body nice and clean we should also be interested in keeping the soul clean. We keep our soul clean by being conscious about our attitudes and to always seek what is good, but wickedness is everywhere. If it is in the shape of mindless words and senseless arguments, the presence of enemies or any form of disappointment or regret, it still stands that wickedness abounds and it insists on stealing our attention and turn us bitter. By taking care of the body with spiritual remedies we can lessen, eliminate and even change these negative rays, because spiritual remedies applied to the body is like fortifying your fortress and castle In taking spiritual care of the body we will guard better who and what we invite into our castle. As a measure of guarding our gentleness and joy spiritual baths are wonderful and even more so spiritual medicines which Ifá calls Osé Èró, which means simply a ‘soap of herbs’ or Isé Ifá, which we can call a ‘part or work of Ifá’. These are remedies made from herbs we find on earth, that are infused with prayers and songs calling upon good fortune – and this in itself will guard our happiness against the intrusion of unhappy and negative influences, no matter its shape and form. What tries to influence us affects the way we move ourselves in the world, hence spiritual remedies applied to the body will have the capacity of warding the soul off from being impaired by negativity and retain its happy state. I think it is important for us all that we keep a weekly regime of spiritual baths, because a spiritual bath will fortify the body and purify the soul – and in this negativity is hived off - like arrows breaking as they hit the walls of a solid castle. The most simple of all solutions are baths made from sea salt and lavender. You can upgrade this to make baths of basil, coconut water, sea salt and lavender and of course many, many other herbal solutions. Such simple recipes will have a benevolent effect in their own right, and simple herbal baths taken with intent to bringing strength to the body and purity to the soul will help us to keep our spirit high. 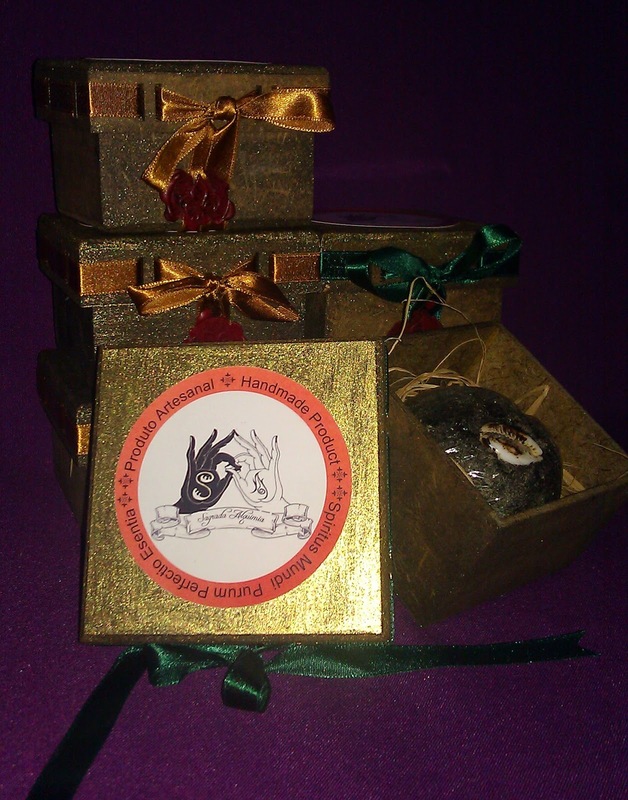 You can also use soaps and baths that have already gone through a spiritual process and this is what Sacred Alchemy Store is offering in what is called Osé Èró and Isé Ifá. The use of magical soaps is strange to many, so therefore, we would like to explain the process of producing this spiritual remedy that aids us in maintaining our spiritual hygiene. Osé Èró, the Ifá herbal soap, is made in reference to earth itself. The process of making this medicine is in itself a process of bringing honour to Onile, the owner of our planet, and partake of this gift as the Osé Èró is used, so allow us to explain how the process is and this will hopefully make the spiritual dynamic involved to be clear. At the break of dawn we will go to the woods and at its gateway we will give offerings to Osányìn, the owner of herbs, to gain permission to collect his gifts. We will then enter and collect herbs, preferably still with its night dew on and these gifts are then brought back to be macerate in spring water and alcohol. As this is done prayers and songs are given and the water is saved to be a part of the omí èró, or magical baths. The plants macerated, infused with prayers and songs, will then go to the cauldron - and together with a few other natural ingredients that have the purpose of making the àse/power fixed – they will be turned into ashes. These ashes are then brought to the Ègbé Ifá (the Ifá temple) and mixed with Iyerosun (sacred Ifá divination powder) and prayers and songs are given upon the powder as a sequence of Odù is marked to bring yet another layer of potencies to the ashes of the plants. This charged powder is then brought to be fused with the ose dúdu. Ose dúdu, means ‘black soap’, and is in itself a composite of ashes from plantain, cacao and other plants. This fusion is done with prayers of good fortune, a cowry symbolizing Èsù and the talismanic worth and virtue of the soap is attached and in this moment it is ready for use. The entire process is one of humble search for good fortune that is going through an alchemical process so it can become a blessing for the one who uses it. It is a process of gaining plant virtues and the virtue of prayers and songs to affix itself in a product of earth, suitable for the celebration of the body as the home of the soul. I wanted to detail this process, not only because I wanted to describe what constitutes a spiritual remedy and the efforts we are making in producing products of quality, but also to highlight how spiritual hygiene also includes care for the body. A spiritual remedy like the Osé Èró is specifically design to remove obstacles of a variety of forms and as such it is also a remedy those of great sensibility of soul will have great benefits from applying as a part of one’s spiritual regime and routine.